How To Get 7 Out Of 10 Insurance Prospects To Accept Your Offer On The First Visit And Eagerly Complete A Financial Needs Analysis For More Business! I’m going to tell you a truly amazing story. If you believe me, you’ll be richly rewarded. If you don’t believe me, I’ll make it worth your while to change your mind. Let me explain. “That’s too bad, Frank. Does this have anything to do with selling insurance?" “You tell me,” he said. “I found this company called Tax Recovery USA. It’s a team of CPAs and IRS Enrolled Agents who do nothing but review and recover overpaid taxes for small businesses. They get recoveries in 70% of the cases they review. I’m talking decent money, too -- $8,000 on average! Then they split it 50/50 with the business owner. They even guarantee to defend their work in case of an audit. And guess how much it costs if they don’t recover any money. Absolutely nothing! Zip-o-la! The Ultimate Insurance Selling System! According to a recent study by the US Department of Labor, US Senate Committee on Small Business, the average American small business pays $11,638 too much taxes. However, the IRS is not obligated to make the taxpayer aware of any such overpayment. It is the taxpayer's responsibility to find the errors and amend the tax returns within 3 years of filing. Otherwise, all overpaid taxes are forfeited. You may laugh at the notion of using tax recovery as a way to sell more insurance, but think about it for just a minute. As insurance agents, we spend most of our time prospecting and trying to break down barriers for a chance to tell our story. Selling insurance is never the hard part. Getting in front of somebody is. If you approach your prospect like the last 10 agents he hung up on or tossed out of his office, you’ll end up just like them -- hungry, lonely, considering a career change. You’ve got to break the stereotype of just another voice on the phone and just another uninvited, undeserving, unwanted insurance agent. You’ve got to first grab his attention, and second, earn the right to talk to him further. First, did you grab his attention? And second, did you earn the right to talk to him further? Now imagine a 7-minute presentation with a 7-page flip chart, fully scripted and complete with rebuttals. At this point, if your sales skills are average, 7 out of 10 prospects will become your new clients. See yourself walking out of his office with copies of his last three years’ tax returns and his complete Financial Needs Analysis for your return visit. You simply drop his tax returns in the mail and let Tax Recovery USA handle all tax matters, including the collection and payment of your commission. Then you get busy preparing quotes and illustrations. Does he need a small group or individual health plan? How about key-man life insurance? 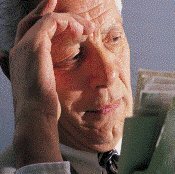 Has he thought about setting up a small business retirement plan that can be funded with a fixed indexed annuity? How about disability insurance to pay his overhead if he’s hurt or sick? Is he due for a reallocation of 401(k) funds from his antiquated fixed interest or variable annuity into today's fixed indexed products? Another service in the Tax Recovery USA package is an Efficiency Analysis of your client's investment portfolio and retirement plan, 401(k) or IRA. The Efficiency Analysis uncovers areas of unnecessary taxation and identifies tax-deferred or tax exempt opportunities. As a Tax Recovery USA agent, you'll quickly learn to identify investments in your client's 1040 Form which are inconsistent with long term objectives, and suggest models which reallocate assets to eliminate redundancy in areas of sector, style and capitalization. Sounds okay so far, but how much is this going to cost my client? The initial review and evaluation of your client's returns are done at no cost. If there is no tax recovery, your client can rest assured that his taxes were done correctly. If there is a tax recovery, your client agrees to split 50/50 with Tax Recovery USA the amount the IRS owes him. Keep in mind that many CPAs will charge hundreds or even thousands of dollars to review past tax returns even if no errors are found. Tax Recovery USA does all the work from preparing and filing amended returns to delivering the refund check from the IRS, all with no up-front cost to your client. Understand, too, that we have a stake in finding every legal tax recovery possible. As agent, what's my commission on each tax recovery? Your commission is 15% of the full amount recovered. Typically, a tax recovery is found in 7 out of 10 cases reviewed, with an average recovery of $8,000. Your commissions would average $1,200 each, but remember, this is not where you make your money. The review process requires your client to complete a Financial Needs Analysis, which tells you exactly what insurance he has, what insurance he needs, where he is risk-exposed, where his assets are, how much, and exactly how your insurance products can be of benefit. Before leaving his office you will schedule a return visit to discuss how your insurance products will enhance his portfolio and fulfill his needs. Will amending tax returns increase my client’s chances of being audited? No, the IRS created the process of amending tax returns because every year millions of Americans overpay their taxes and need to file amended returns. In a 2 1/2 year period alone, $18 billion was returned to small businesses. The IRS clearly states that it is commonplace to amend returns and that it does not raise a red flag for an audit. Tax Recovery USA's high-end CPAs examine only legal standard deductions allowed by the Internal Revenue Code and provide full backup documentation. Why can’t my client’s CPA amend the returns? All our clients are business owners and most have their own CPAs and tax professionals. That won’t change. Your client may also have a good doctor who refers him to a specialist for a more detailed examination, diagnosis and treatment. Only a second doctor can give a second opinion, and our service is a specialized checkup for your client’s taxes. If his CPA missed something once, chances are he’ll miss it again. Tax Recovery USA's CPAs specialize in the numerous tax laws that change annually and may not have existed at the time the returns were prepared 3 years ago. The deductions our CPAs use in your client’s amended returns can also be used by his CPA on future returns. I’m almost ready to say yes, but I want to make sure I have prospects to talk to from the get-go. How do I set appointments with business owners? You have two choices: First, you can use the Appointment Phone Script included with your sales kit and do it yourself. It’s not that hard. The Yellow Pages are your prospect list. Ask yourself, what business owner wouldn’t want to recover thousands of dollars in overpaid taxes with no out-of-pocket costs and no downside risk? The second option requires an investment on your part and a little bit of faith. Tax Recovery USA uses a professional telemarketing firm that secures preset appointments with business owners who will be waiting for your visit. The fee is $54 per hour with a minimum of 50 hours, but look at it this way. If you’re the worst sales person in the world and only get 1 tax review out of 10, the odds are in your favor that you’ll make a $1,200 commission. What if you get 7 out of 10? And remember, Tax Recovery USA is not a business opportunity. It’s an insurance selling system that gets you in front of business owners who complete a Financial Needs Analysis telling you where your next insurance commission is coming from. Okay, one last question. Give me the bottom line. How much is all this going to cost me? The bottom line may make you cry. If you are a captive agent, Tax Recovery USA is not available to you at any cost. You may want to look into another company on the Web offering a franchise version of our concept for $15,000, but their program is not an insurance selling system. If, on the other hand, you are a non-captive, licensed life insurance agent and can sign with at least TWO of our top national carriers, please fill out the form or call immediately. We award our Tax Recovery USA program to 5 qualifying agents each month at no cost, based on (a) your past annuity sales volume or (b) your positive attitude toward future annuity sales. This offer may be withdrawn at any time, so call or fill out the form today. For more information about Selling Insurance with Tax Recovery USA: The Ultimate Insurance Selling System, please fill out the form below. Before contacting me, make sure you have (1) an annuity case to submit to one of our carriers in the amount of $40,000 or more, OR (2) the confidence that you WILL submit a case within 30 days, AND (3) a burning desire to take your career TO THE TOP! If so and you’re ready to sign, let’s go for it! Yes! Tell me more about Tax Recovery USA: The Ultimate Insurance Selling System! PS. Notice all the FREE STUFF on this website? Want to find out about our free insurance leads? Looking for killer closing techniques? Would you like to know how to overcome any objection a client could possibly throw at you? My friend Bob Firestone has the answer. Click Here! All products/programs are not approved in all states, available to qualified agents. Limitations vary by state and are subject to change. All rights reserved. For agent use only. Not for consumer use. InsuranStar Marketing LLC in no way endorses the practices or guarantees the results or the financial viability of any vendor or program contained herein.